As an attorney you don’t have time to waste on resolving unexpected computer problems, and you certainly cannot afford to pack up your computer and send it away for repair. We understand how important your PC is to your business, and realize that every minute you spend struggling to fix it is wasted time. Using remote access, we can login to your computer from our office and quickly resolve most computer-related issues. In order to setup your computer so that we can remotely resolve issues, you need to download and install one small program from a highly respected and trusted company. We will guide you through this simple process, or we can come to your office and install the program for you. That’s it! Anytime you have a problem, you simply call us and we will resolve the issue as quickly as possible. What Types of Computer Issues Can be Resolved? Most computer issues can be resolved remotely, as long as they are not hardware-related. For example, if your hard drive fails, it must be physically replaced. In these cases, we would schedule an in-office repair. No issue is to small for us to resolve, as we know your time is precious. Regardless of whether your computer is broken, or you just can figure something out, we are here to help. Rest assured that any connection we make to your computer is made using industry-standard algorithms and protocols for encryption and authentication. Nobody will be able to see or access the data transmitted between your computers except for you and the technician. In addition, you have the option to automatically grant access, or manually. Our current clients can confirm the degree of respect and trust we have earned using this service. Our computer service professionals have been repairing computers for over 20 years, and have encountered and resolved about every issue imaginable. We routinely save our lawyer clients from prolonged periods of frustration by quickly resolving their issues. Whether it is an issue that requires repair, or an issue that a lawyer simply cannot figure out, we are always ready to save the day. We can repair your computer or resolve most issues without being physically present. There is no need to wait around for a service technician. Sometimes your computer's service center will actually require you to send your PC to them in order to repair it. This obviously is not an option for lawyers who rely upon their PC every day. 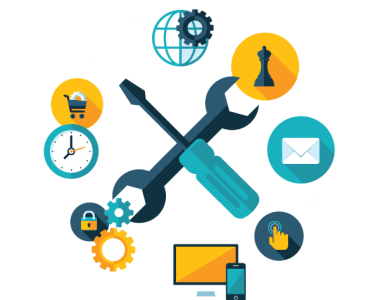 If you are in the middle of working on something important when your PC begins having issues, we can login to your PC and fix often within minutes so that you can get back to your work. When people have legal issues, they rely upon the services of a lawyer. When lawyers have computer issues, they should rely upon computer professionals, and should not waste their time being frustrated because they cannot resolve the issues. Any time we login to a clients computer to repair it, we inform the client, and also display a prominent display message on the computer that we are logged in. The connection is always encrypted to provide maximum security. We create pay-per-click campaigns on Google AdWords, Bing, and Yahoo that maximize profit for your monthly spend. Let us help you get your law practice online and take it to the next level. We work tirelessly for each of our clients, which includes working seven days per week. Should our clients wish to discuss anything, we are available to speak even during the evening hours. ©2015 ProLaw Marketing. All Rights Reserved.